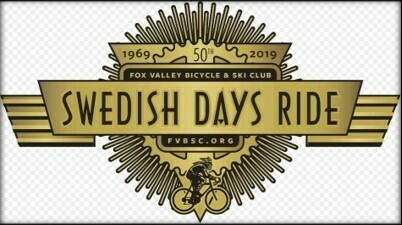 Annual Swedish Days Ride Celebrates its 50th Year in 2019! Now in its 50th year, the Swedish Days ride remains one of the premier road bike tours held in northern Illinois. This year features a new start location, rest stops and all new routes. The ride starts and ends at Kaneland High School 47 W 326 Keslinger Road, Maple Park, Illinois. From there all routes travel quiet and scenic paved roads of rural Kane, Kendall and DeKalb counties. Along the way enjoy frequent rest stops stocked with thirst-quenching beverages and energizing food. Fox Valley Bicycle & Ski Club uses the net proceeds from this event to support the efforts of organizations promoting cycling and outdoor activities throughout Northern Illinois such as the League of American Bicyclists, Ride Illinois, Active Transportation Alliance, Rails-to-Trails Conservancy, Illinois Prairie Path and Project Mobility. Our event has no affiliation with the Geneva Chamber of Commerce's Swedish Days Festival. 100-Miles (Century), and 124-Miles (Double Metric). All distances are approximate and subject to change until early June. Disclaimer: We prepared these routes so riders with GPS units would have electronic course information to follow. Please use these routes as an additional tool along with the road markings, signs and maps. Men's and women's sizes available. Pre-orders no longer accepted. Ordering closed on April 15. A few jerseys may be available to buy on the day of the ride. Must order before May 27th! 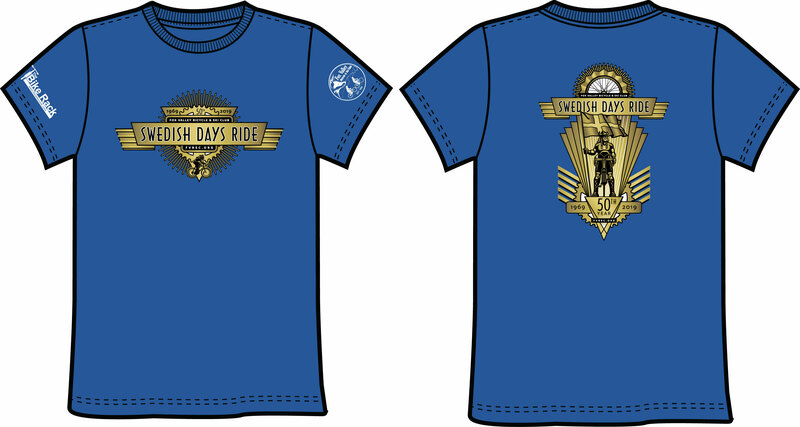 A limited number of T-shirts may be available on the day of the ride for an additional charge. Due to differences in the way a color looks digitally compared to on fabric, the blue shades in the images may not be the exact shade of blue on the jerseys and T-shirts. May be ordered until June 21st or as long as supplies last. 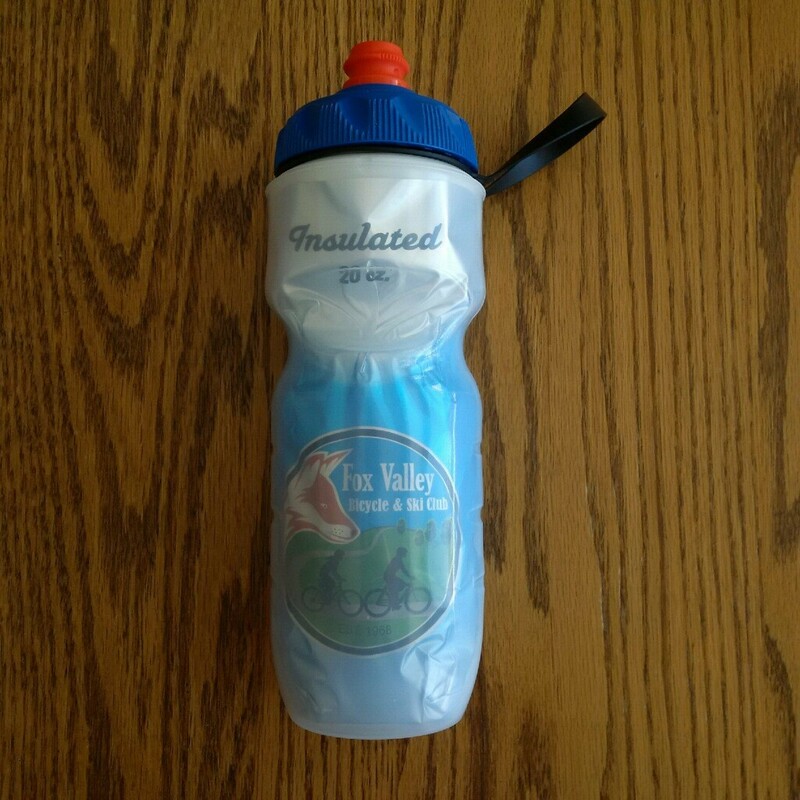 A limited number of bottles may also be available on the day of the ride. Register online for a chance to win a $50 VISA gift card. Rider must pick up the gift card in person on the day of the ride. Rain or Shine - no refunds. *Non-members will be charged a $2 convenience fee by Club Express. Cash, check or credit card accepted on the day of the ride. 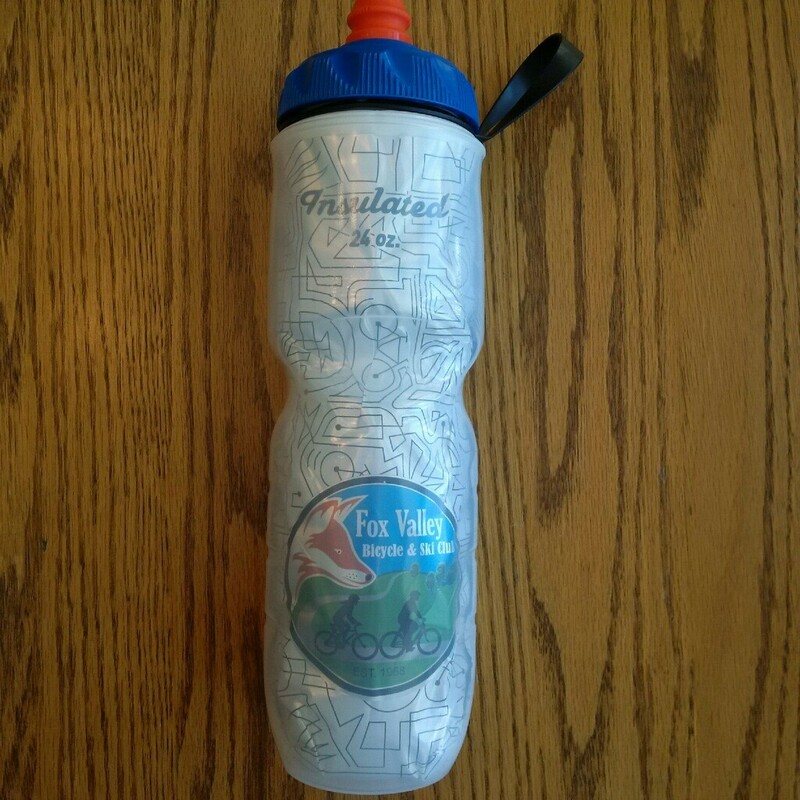 Rest Stops: Routes include well-placed rest stops with plenty of cold water, beverages, fruit, sandwiches and snacks. Wrist bands used to identify registered riders. Route Directions: Maps, cue sheets, GPS routes and road markings available. SAG: Radio-equipped cars patrol routes from 6:30 AM to 4:00 PM for your safety and convenience. Mechanics available at the start for minor adjustments. Riders are responsible for fixing flat tires. Refreshments available at the end of the ride.